I LOVED this piece. You know why? It didn’t even acknowledge my existence! 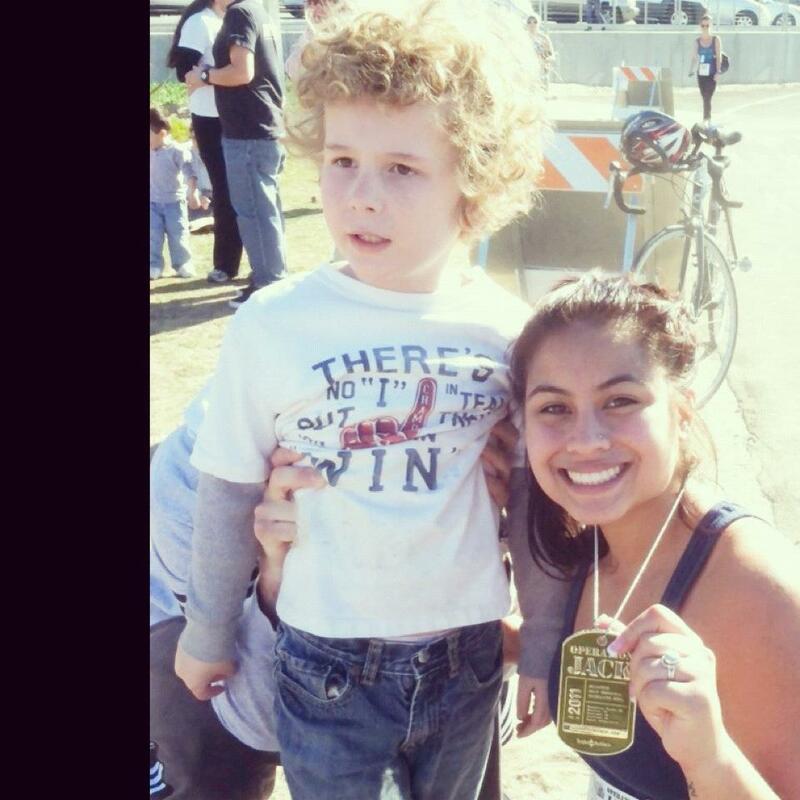 I ran all those marathons last year because I figured I could raise money and awareness for Train 4 Autism. I was right, and I was interviewed a lot. Every story was all about a guy running a lot of marathons. This one, though, was about Jack and the cause. 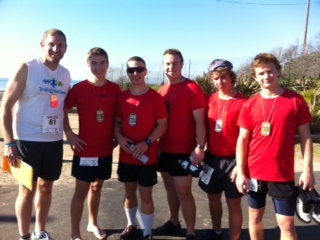 It was all about people coming out and running a race to raise money and fight autism. 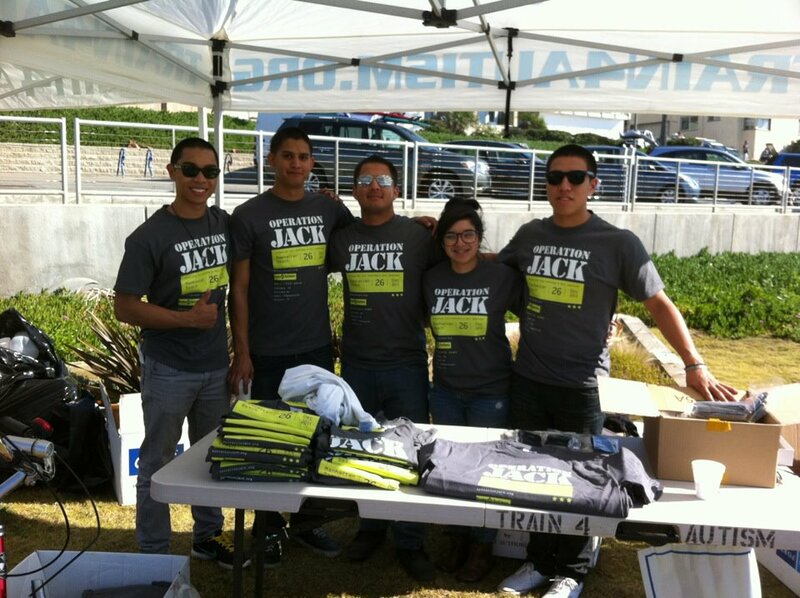 – Approximately 380 registered runners at the 2nd Annual Operation Jack Marathon in Manhattan Beach, Calif.
– 40 participants in the 2nd Annual Operation Jack Northwest Challenge in Portland, Oregon. 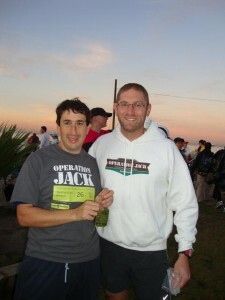 – 24 participants in the Operation Jack Satellite Marathon/Half Marathon in Houston. – 15 participants in an Operation Jack Satellite Marathon/Half Marathon in Kabul, Afghanistan (yes, America’s finest were out there participating!). – More than 50 people participating in satellite runs all over the country. I haven’t finalized the numbers, but for the day, it looks like everything grossed more than $40,000, and net proceeds will exceed $25,000, benefitting the Operation Jack Autism Foundation and Train 4 Autism. Speaking of my foundation, click that link — I finally got a page up detailing what we’ve done and what we do. 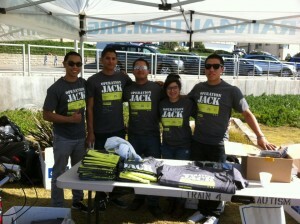 To date, Operation Jack has grossed somewhere in the neighborhood of $135,000! 1. To everybody who participated everywhere, I can’t thank you enough. I feel so blessed to be in this position to do something to try to make things happen and to know that so many people are on board who want to fight this disorder that plagues my son. 3:29:38. From a running standpoint, I felt terrible physically. But today wasn’t about my time. It was about the ~$40,000 we raised. I fight autism, as does Jack. That’s all for today, folks. Have a great Tuesday! Tiff (my wife, Jack's mom) ran the half marathon yesterday. 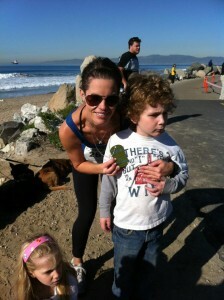 Here she is with Jack, who ironically had no idea what was going on. Jack with one of his respite care workers, Danielle. 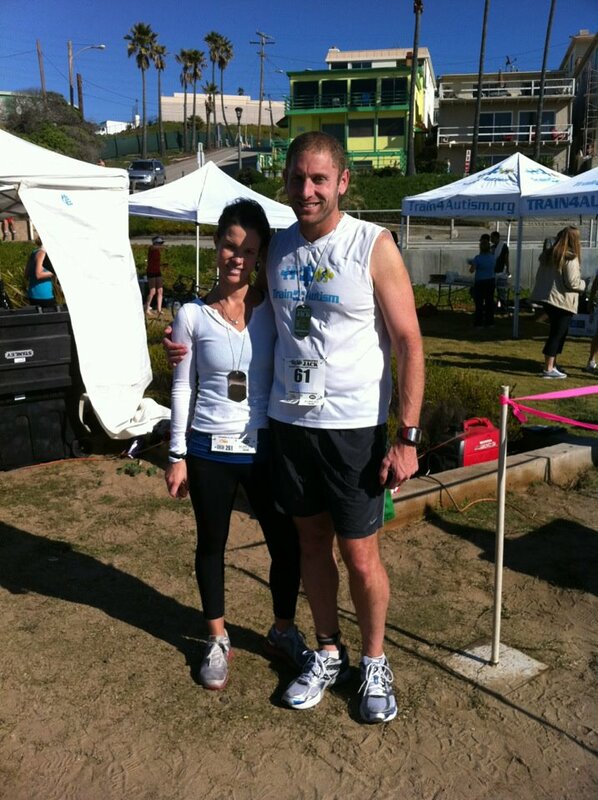 Danielle is so good with him and she came and showed her support by running the half, something she'd never done before. It made me really happy to see her out there! With Jake Rome before the race. Jake led the charge in putting this race on. He did SO MUCH work on a volunteer basis. He truly is the behind-the-scenes guy who got it all done! Me and the wifey after the race. Me and my friend Kathy before the race. She's the awesomest volunteer in the history of volunteers and I was pretty happy to see her out there. Five brothers, all running their first marathon. The one with the sunglasses on, it was his idea. I think the other four might have killed him last night! Those brothers were RAD. We loved seeing them at our station. My daughter and I had a ton of fun volunteering; can’t wait for next year! Thanks Sam and thanks to all the volunteers at the Houston Satellite run. 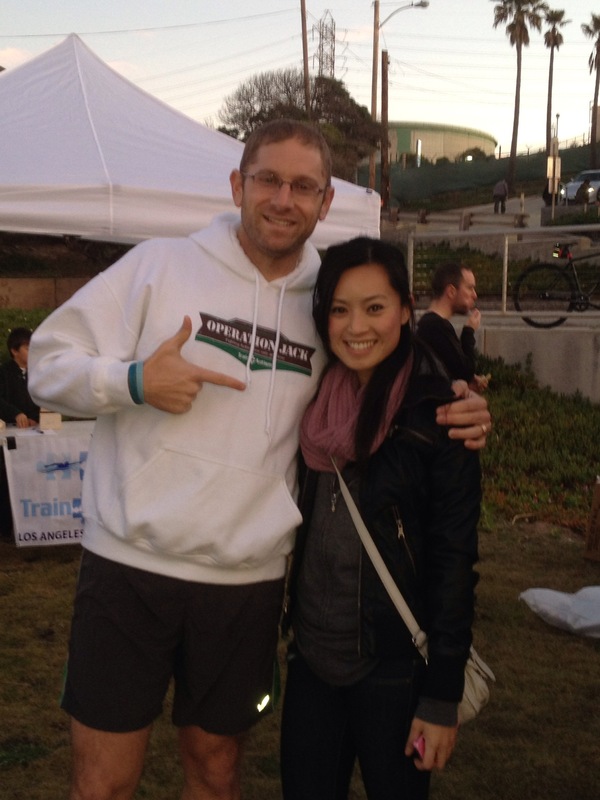 It was a great race and I am happy to run for a great cause. Will be back next year and I’ll bring some more friends along with me.